Flipkart is hosting a Laptop Bonanza sale on its platform, which has kicked off on February 12 and will go on till February 14. The platform has plenty of deals and discounts on a wide range of laptops that are from brands like Acer, Asus, Lenovo and more. Flipkart Laptop Bonanza sale is live now and will go on till February 14. 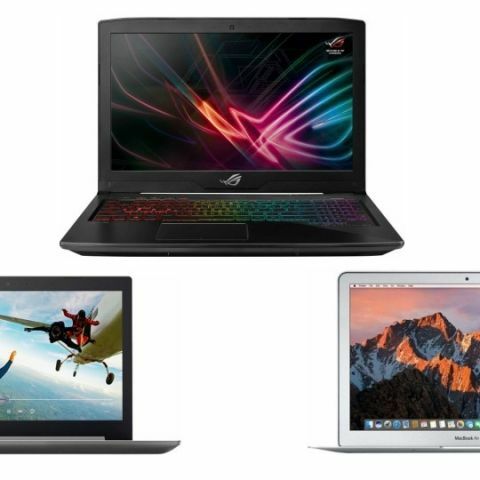 The Wal-Mart owned E-commerce platform is offering a hefty discount on laptops, which are from brands like Acer, Lenovo, Asus and more. In this lister, We have jotted down the best deals that are available on Flipkart during this Laptop Bonanza sale. The Acer Predator Helios 300 is a gaming laptop that comes with the latest 8th Gen Intel Core i5 processor, which is paired with an 8GB RAM and 1TB hard drive. The laptop comes with a pre-installed Windows 10 and 4GB graphics card. During the sale, this Acer machine is available for Rs 64,000 down from its MRP of Rs 1,04,999. Check out the deal here. If you’re an Apple fan and thinking to buy a MacBook from a long period of time then this might be the right time to grab it. This laptop by Apple is powered by an Intel Core i5 5th Gen processor. The machine packs 8GB RAM and 128GB hard drive. During the sale, it is available on Flipkart at a discounted price of Rs 65,990. Check out the deal here. The Asus ZenBook Core i5 8th Gen laptop is now available on Flipkart at a price of Rs 54,990 down from its MRP of Rs 78,990. Interested buyers can also get an extra up to Rs 10,000 off on exchange. Check out the deal here. The Lenovo Ideapad 320E is powered by an Intel Core i3 6th Gen processor, which is coupled with 4GB RAM and 1TB hard drive. The machine comes with a pre-installed Windows 10, which means you don’t need to worry about installing one separately. During the sale, the laptop is available for 25,990. Check out the deal here. The Asus ROG Strix is another gaming laptop from Asus that is powered by the latest 8th Gen Intel Core i5 processor, which is paired with 8GB RAM and 1TB hard drive. During the sale, it is available for Rs 68,990. Check out the deal here. Almost most items are cheaper on Flipkart.